This entry was posted by Mollie on Tuesday, September 8th, 2009 at 8:56 pm	and is filed under Gardening, In The Kitchen, Life & Times. You can follow any responses to this entry through the RSS 2.0 feed. You can leave a response, or trackback from your own site. 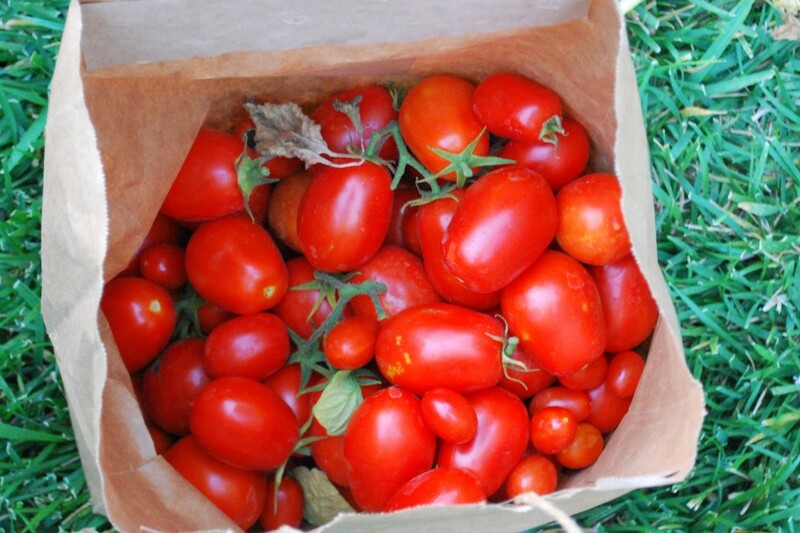 How fun to see the products of your garden, and your little tomato eater, of course! It’s great you’re gardening now, and we bet you’ll do it more as years go on! 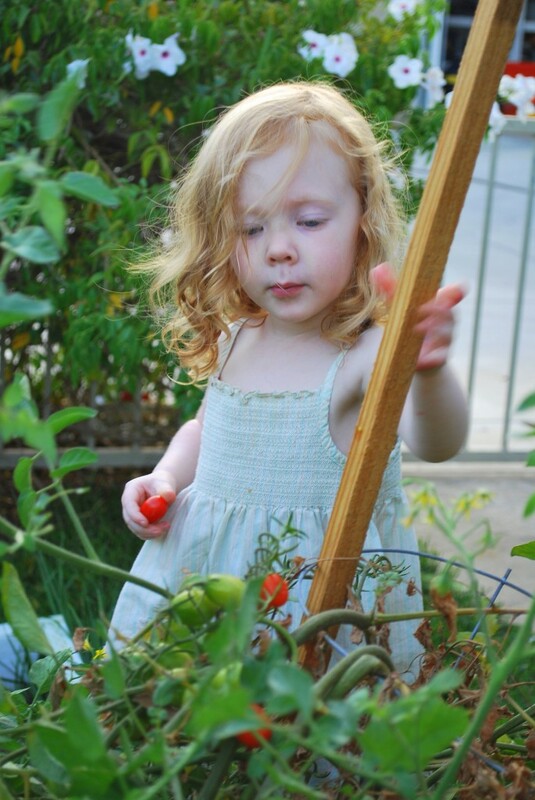 Alas, our herbs met with disaster at the hands of rabbits, snails, and two year-olds. 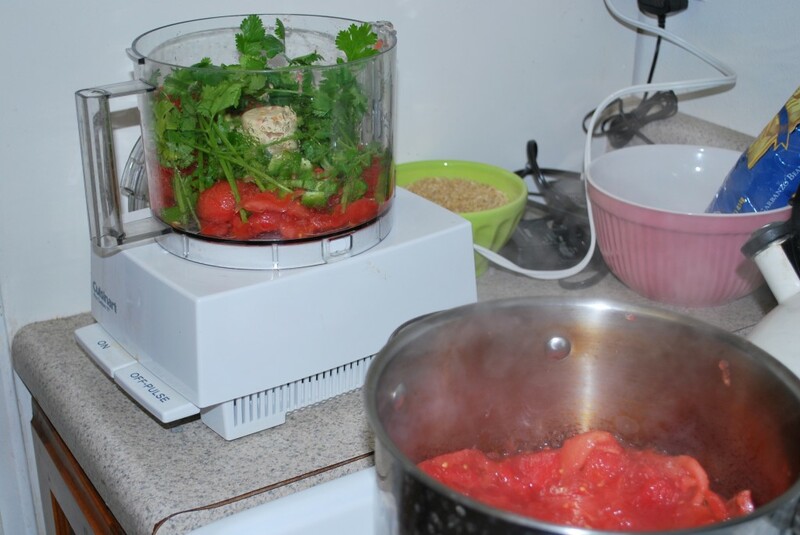 Yes, those are tasy tomatoes. I’ll fry up the chips, you bring the salsa! Such a fairie lass, keeping watch over the greenery.